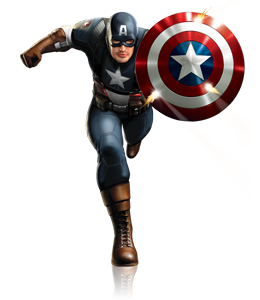 The new and exciting Captain America Slot is here! Face off against Captain America's nemesis Red Skull as both symbols are Wild, doubling your fun! Win an initial 4 free games and uncover up to 9 additional features to be used in free games. You just might finish off Free Games with both a good and evil Super Spin! One thing is for sure; this game is a ton of fun and a must try. Last week we offered you a x3 bonus that was a huge hit for our members. This week we are going to have a special offer not once but twice. Check out the promotions below for this weeks offers on Saturday and Wednesday. Wednesday is going to offer our members a wild bonus. On Wednesday July 10th, 2013 from 00:00 GMT until 23:59 GMT, all Fly members are invited to receive a 210% bonus on your first deposit of $/£/€ 10 or more up to 90.00. On Saturday July 6th, 2013 from 00:00 GMT until 23:59 GMT, all Fly members are invited to receive a secret deposit bonus on their first deposit of $/£/€20 or more up to $/£/€130.00. The bonus percentage is higher than 50% but its exact number is a secret. Find out for yourself this Saturday! Collect $/€/£ 100 free when you make your first deposit every Sunday during the month. You are entitled to receive a 50% up to $/€/£ 100 bonus immediately when you make your first deposit of $/€/£ 20 or more on any Sunday this month.